What are the challenges in making American youth well informed with global literacy? Are we educating our youth about the challenges the world faces in this century? Are we not living up to this challenge to our own peril? Our speaker will address these and other related questions. Amir Samandi is the Founder and Executive Director of Summer of Service (SOS) in San Antonio and the Partnerships Director for CAST Tech High School with Tech Bloc. He was awarded the PT San Antonio Lifetime Member Award in 2017 and was a Finalist for the 2017 HEB Excellence in Education Award and has been nominated or awarded numerous other awards. Amir is also an Adjunct Professor with St. Mary’s University and has taught undergraduate, graduate and Upward Bound courses there. Amir has taught AP Human Geography, AP Government, AP Economics, 6th Grade World Cultures and several other courses over his nearly six years of teaching with the STEM Academy in North East ISD. Amir is a former Foreign Affairs Analyst with the U.S. Dept. of State and a national/cybersecurity contractor with the U.S. Dept. of Defense. He was awarded a Meritorious Honor Award for his support to the Bureau of Intelligence and Research during Operation Iraqi Freedom. He earned his Bachelor of Arts degree in International relations from St. Mary’s University and his Master of Arts degree in International Affairs from The George Washington University. Amir was recently named one of San Antonio’s “40 under 40” by the San Antonio Business Journal for his work on extended learning opportunities with Summer of Service (SOS). SOS is a 501c3 nonprofit dedicated to providing San Antonio youth with experiential learning opportunities outside the classroom through community service and travel abroad. Under his leadership, SOS has taken more than 400 students abroad to over 14 countries with more than 10,000 hours of community service to the San Antonio community and counting! 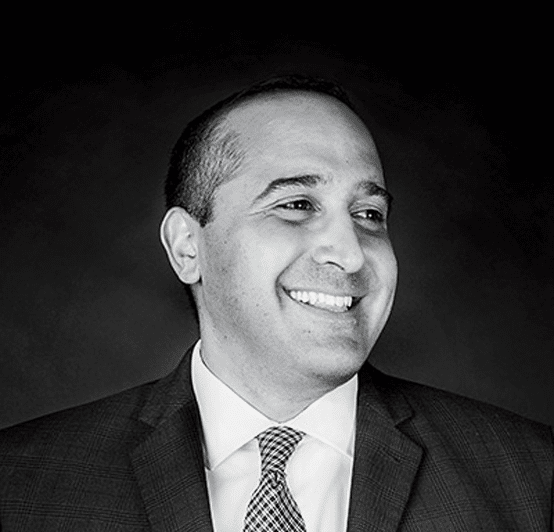 Amir was appointed to the State of Texas’ Expanded Learning Opportunities Council, which makes recommendations to the Texas Legislature on out of school time programs. Amir is married and has three sons and the family enjoys learning, serving and exploring the world together. The buffet luncheon will open at 11:30 AM. Mr. Samandi will speak and take questions from the audience from Noon to 1:15 PM. The new price for the luncheon is $40 for members, $50 for non-members and $35 for students and military personnel in uniform with a discount of $10 for early registration that ends at noon on Monday of this event. COME JOIN US FOR THIS EXTRAORDINARY CONVERSATION AT THE ORTIZ CENTER! Go to our web site, www.WorldAffairsTexas.com to purchase membership and/or lunch registration. You may also pay at the door with cash, check or credit card. To avoid the ticketing fee, and take advantage of the discount, you may send a check to the World Affairs Council of South Texas, 4409 Sue Circle, Corpus Christi, Texas 78410. Please make sure your checks arrive prior to Saturday before the event.